Police are appealing for information after a man committed an “indecent act” along the Union Canal. 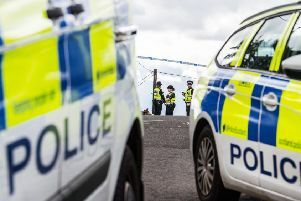 The incident took place around 2.45pm last Friday near the Linlithgow viaduct. The man committed the indecent act then left the area on a dark-coloured bicycle. He is described as white, with grey hair, 5ft 7-8ins tall, wearing dark clothing and a black cycle hat. Detective constable Alan Gibson of Livingston CID said: “We’re urging anyone who may have seen the man described around this time, or who recognises his description, to get in contact with us. Anyone with information can contact Police Scotland on 101 or report this anonymously to Crimestoppers on 0800 555 111.